Rover’s Summer: Rovers in Whales? Heres what the rovers have been getting up to this Summer! We’ve been to both Wales to complete our Silver Gaisce Awards, and to Scotland in order to get some rock & ice climbing in. 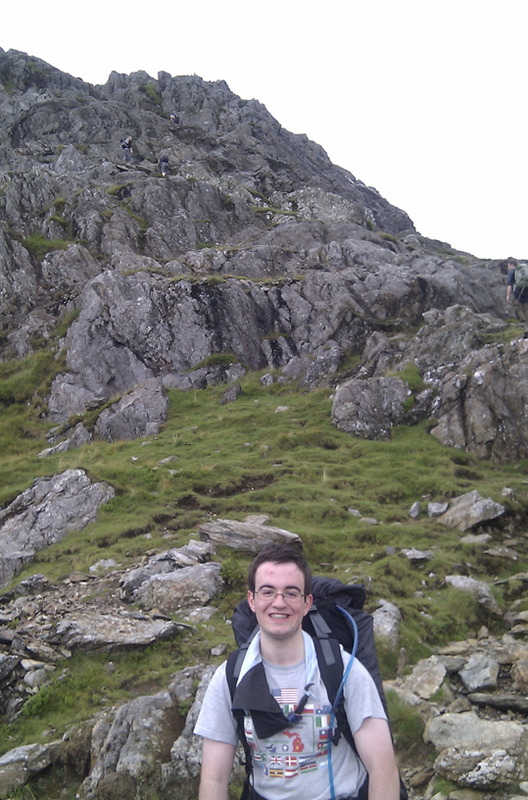 The reason for our trip to Wales was to climb Snowdon (1085m) and walk 50km in the process, to complete the final part of our (Kevin and Conor’s) Silver Gaisce award. 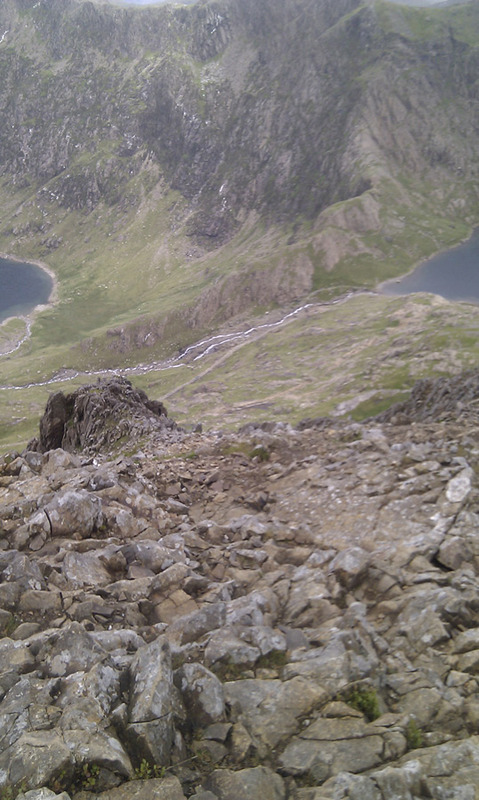 The hike across Snowdonia took us three days. So with our trusty leaders Emma and Tony, and silly David we left Dublin port for Wales. On the boat journey we played cards and explained to Tony and David the difference between Whales and the country Wales with some Father Ted styled logic. We arrived in Holyhead a little late, and missed our train. On the train we practiced (well more like butchered) our Welsh pronunciation. We got two trains to Betws-y-Coed, and that’s where the journey really beings. We started walking, rovers first but the leaders and David (“cheated”) and got the bus! Rovers walked to the meeting point at Capel Curig. We joined up and walked along the A4086 towards our first campsite. Along the road we stopped at an adventure centre, and asked for information about SPA (Single Pitch Award) and MIA climbing awards, all part of the debate on what is the plan for next year. By a lake we stopped for the night in a cheap campsite, 3 quid. There were some concerns that our tents might blow away in the strong wind that gushed through the valley. 4.00am I awoke to the sound of heavy rain beating off the canvas of our tent. I rolled back over and fell asleep. We all got up around eight in the morning once the sound of the rain had stopped. We got up ate breakfast, there is nothing like a cereal bar in the morning. Looking up to the sky we realised the storm hadn’t passed, but that we were sitting in the eye of the storm. 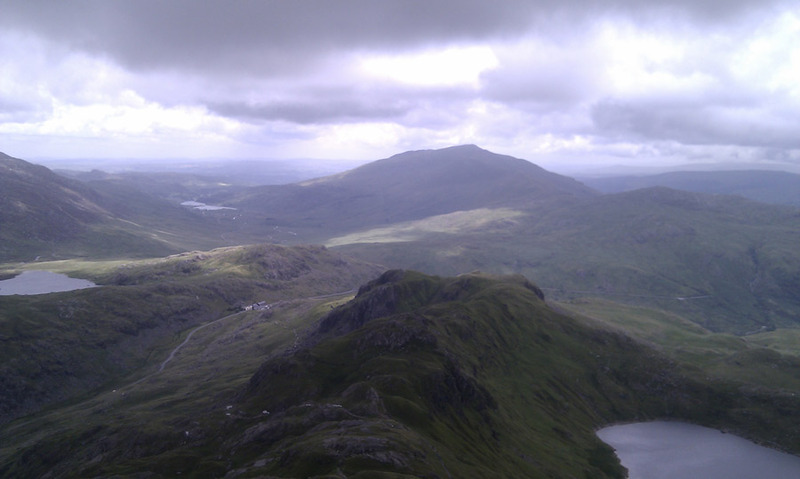 We packed the rain sodded tents back into our bags and started walking towards Snowdon. It rained, and it poured, and it rained some more as we walked towards Snowdon. We made it to Pen-y-Pass by eleven o’clock, finally the rain stopped. 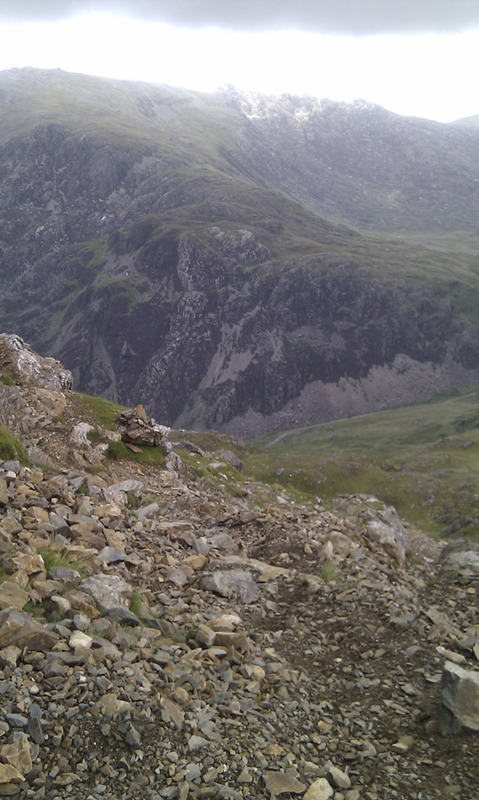 Pen-y-Pass is a drop off point for hikes and tourists, and the starting point of the Miner’s track, Crib Goch ridge route and the Pyg track. 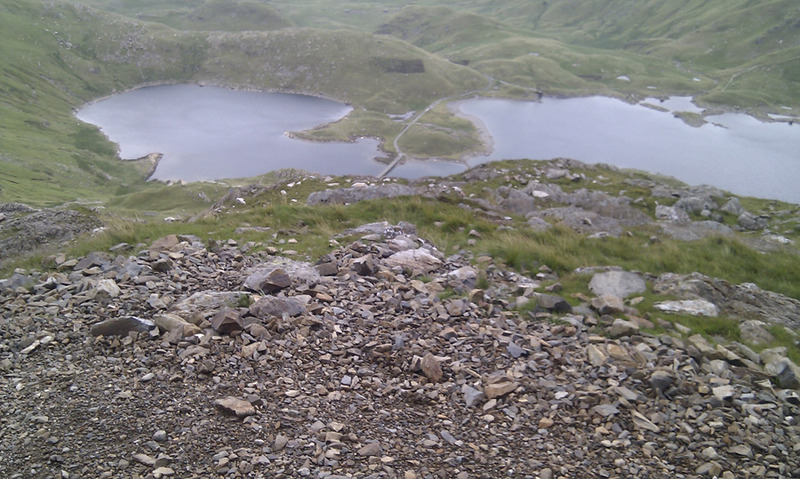 The plan was for the Rovers to walk the Pyg track up Snowdon (the red track on the map), and for the Leaders and David to walk the Miner’s track (the yellow route on the map). So we split up and went our separate ways. 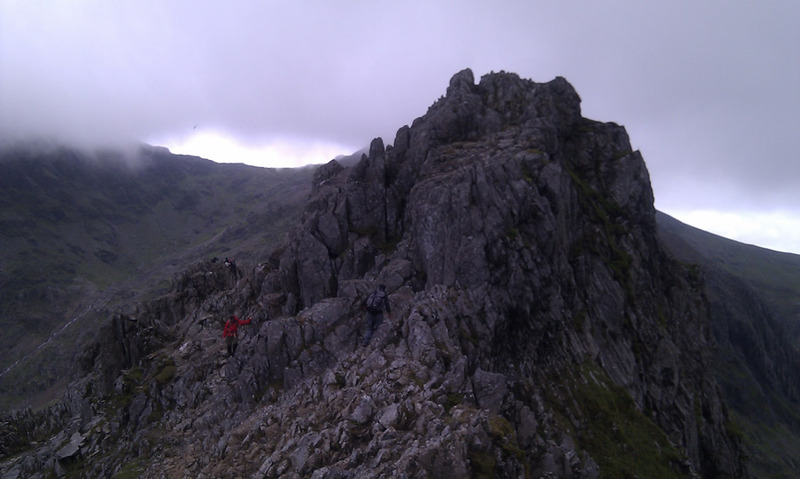 Us Rovers decided that the Pyg track wasn’t that fun, so we changed to do the Crib Goch route. 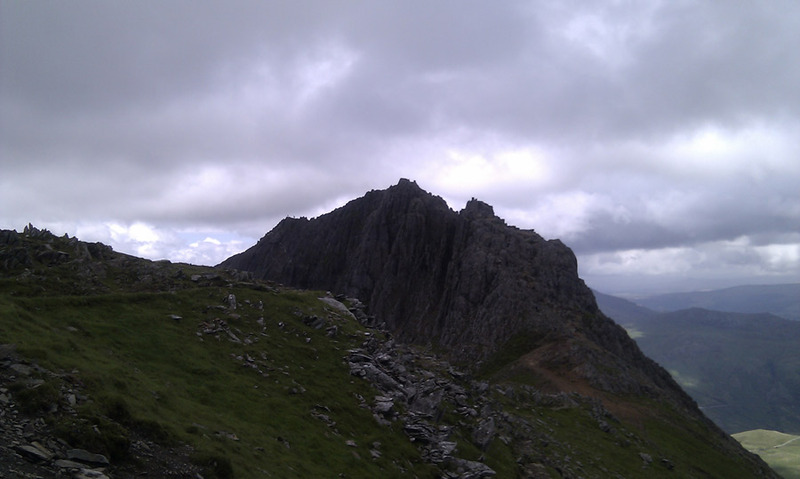 (Really we made a slight navigational error) Crib Goch is a mountain beside Snowdon. 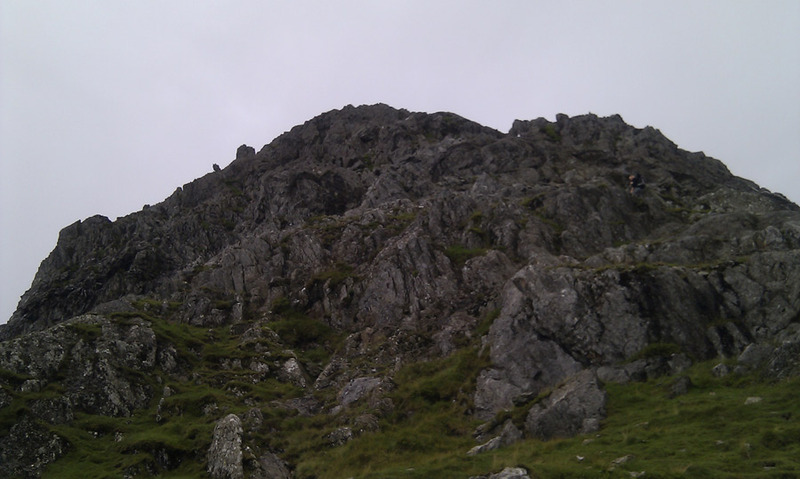 Let’s just say it was an interesting route: cliffs; vertical climbs; and strong winds. I think I’ll let the pictures tell the rest of story. 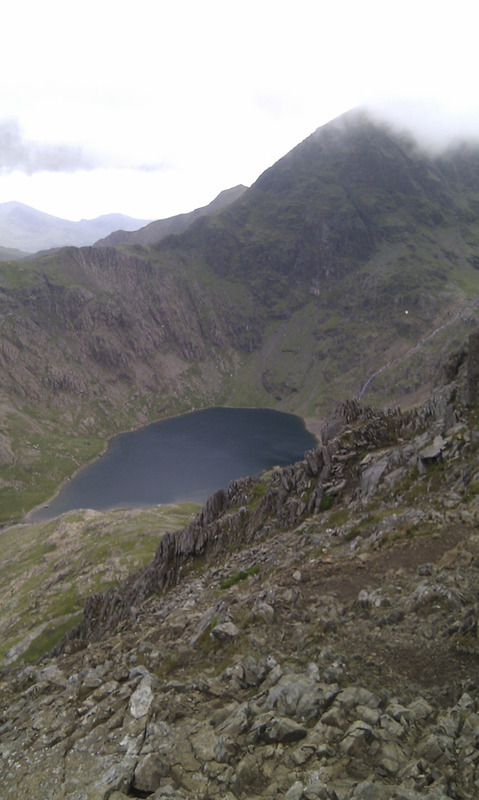 So we made it over Crib Goch and then to top of Snowdon. We rested for about 20 minutes in the restaurant on top of Snowdon. Snowdon is no ordinary mountain, at the top there is also a gift shop, webcam, and a train station adorning the summit. After our short respite at the summit we began the long tired seven kilometer walk down to Llanberis (pronounced clan-ber-is) and our second campsite, and most importantly what kept us walking the whole day: Pete’s Eats. Tony’s favourite restaurant. After a long, and well earned meal, we set off to the campsite, one kilometer from Pete’s Eats. Of course the campsite was also up hill. We stayed the night, recharged the batteries for the final leg of the trip. The night also lead to some fun quotes/stories like “*stands up leaves the tent* I think I have two left feet!”… “No, are you wearing my shoes!”. 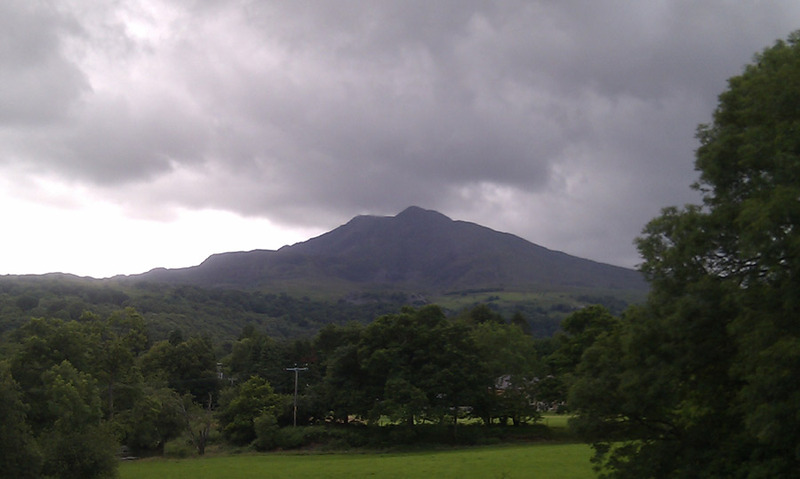 I would love to tell you the rest of the trip was easy: we left the campsite, on time; walked the relatively straight road from Llanberis to Caernarfon, arriving on time; but if I told you that I would be lying. It was to be honest a disaster. We awoke and left the site late, got lost on the “relatively straight road” and had to use a taxi to make it to Caernarfon to make the bus back to Bangor. Forty minutes later we arrived in Bangor after a mundane and relaxing bus ride. We got the train back into Holyhead in order to catch the boat back to Dublin Port. We played cards in the port before boarding the boat. The boat journey was also another interesting part of our trip, strong winds and bad weather delayed the boats arrival into the port, we left 40 mins late. The length of the journey doubled because of the rough seas. The ferry rocked back and forward relentlessly, leaving the entire number of passengers and crew feeling sick. Though there were some unfortunate bits to the trip, we all enjoyed ourselves throughly. 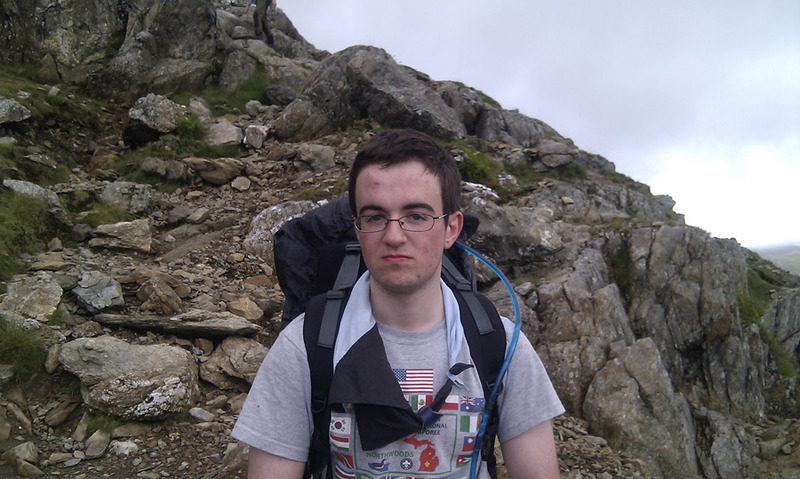 Tags: Hike, Rock Climbing, Scotland, snowdon, Snowdonia, UK, Wales. Top | Comments Off on Rover’s Summer: Rovers in Whales?